LIFESTYLE is proud to offer a commitment to excellence in Cabo property management. When you trust your second home, investment portfolio, or luxury estate with LIFESTYLE, you gain the immediate benefit and security of our comprehensive property management program in Cabo San Lucas, our dedicated, experienced staff and enjoy the value-added benefits such as: On-call house doctors/dentists, wholesale pricing on linens & terry, discounts in Bed Bath and Beyond, complimentary consultation to legal team, import/export assistance and preferential rates on Los Cabos’ best activities & a long array of customized services & experiences. We offer quality financial, administrative and repair/maintenance services to villa, condominium, and homeowners in Los Cabos’ affluent, private residential neighborhoods such as Palmilla, Punta Ballena, Cabo del Sol, Pedregal and many others. When choosing LIFESTYLE as your choice for Cabo property management, whether you are around the block or around the world, you can relax knowing that we offer first-class management, maximum financial returns and priceless peace of mind. 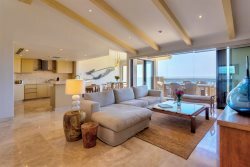 Providing outstanding and consistent service paired with our proactive approach has earned LIFESTYLE a long-standing reputation as Los Cabos’ most trusted premier property & hospitality management firm. Whether our internally managed team of specialists is scheduling routine or emergency maintenance, arranging housekeeping or actively marketing your property, they do so with enthusiasm, integrity and the utmost professionalism. With LIFESTYLE, you and your property are in good hands for your Cabo property management needs.